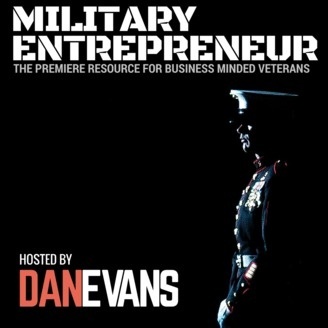 The Military Entrepreneur Show is the premiere resource for business minded veterans. If you are entrepreneurial and want to learn how others like you made it in business and as entrepreneurs; this show is for YOU! 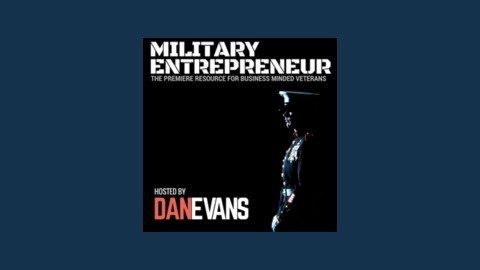 As I prepare for my own transition, my goal is to help others who are getting out of the military supplement their transition process from the stories of veterans who've made it in real-world business. In 2003, 21 year old Marine Corporal Noah Currier from Poplar Grove, IL, was deployed to Iraq with Charlie Co 1st LAR as part of Operation Iraqi Freedom. Three days after arriving home from combat Noah and a fellow Marine were in a vehicle headed back toward Camp Pendleton when the driver fell asleep at the wheel sending their vehicle rolling down an embankment. Noah suffered a severe paralyzing spinal cord injury from the accident. Seeking a way to afford the necessary physical therapy for himself and a fellow injured Marine, Noah came up with the concept of using a t-shirt inspired by his brotherhood in the Marine Corps as a fundraiser. He designed a shirt that boldly stated He who sheds blood with me shall forever be my brother across the back. The shirts quickly caught on with supporters and the fundraiser turned out to be an overwhelming success. Enough units were sold to afford Noah and his friend another six months of additional life-changing physical therapy.